"The Next Generation Software Testing Platform"
In the new age of software testing, it is advisable to start test automation through all the transformational capabilities parallel to development. Test Automation is transforming the testing process from the inside using unprecedented state-of-the-art technology. 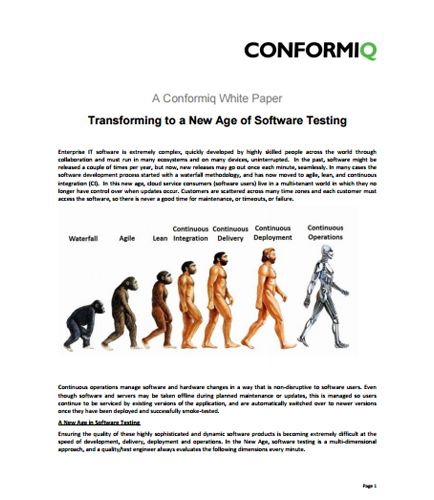 Real-world needs from software testing in the new age: Increased productivity, optimized coverage, Integrated test flow, Test automation, Reusability.